It's 355 days before Christmas! You wouldn't believe it, but our little boy is doing the countdown this early because he's excited for the next Christmas! At 5, he already understands and appreciates what Christmas is. 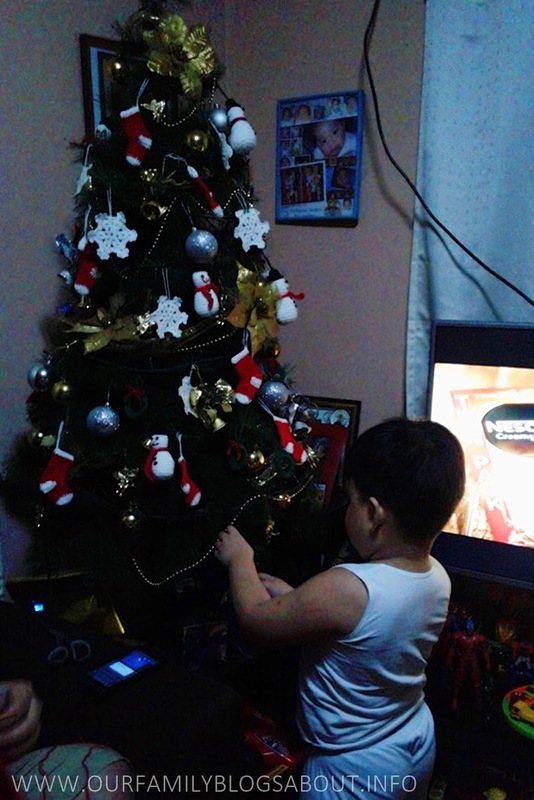 Now, he is more excited to set up the Christmas tree. Daddy made him a Crochet Santa hat making him even more excited. 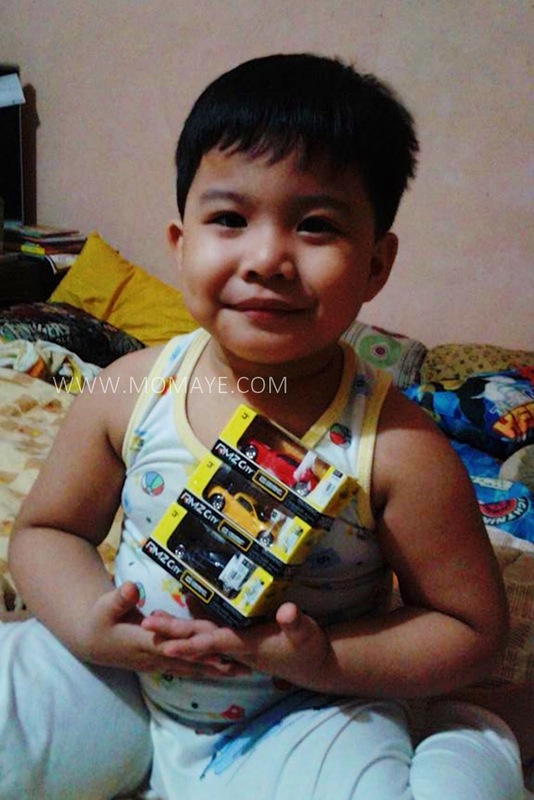 He received 4 gifts this Christmas. The first set are these three cars he got from the secret Santa at their Christmas Party at school. 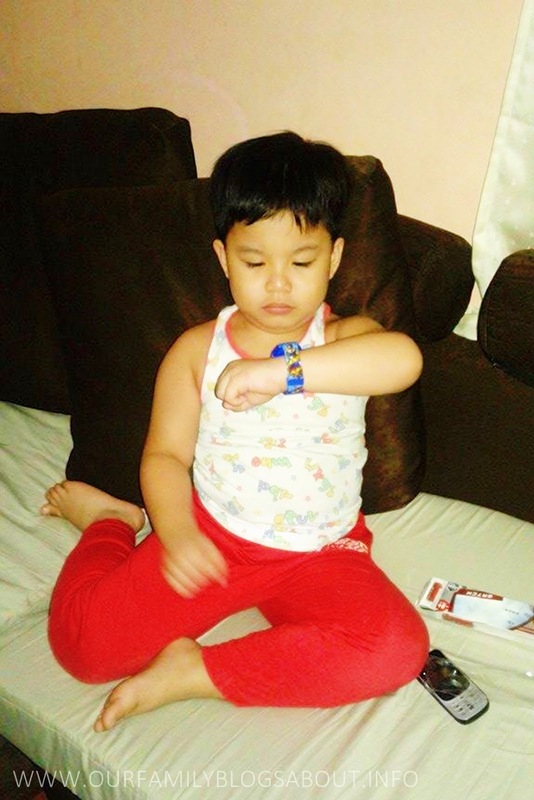 On the Christmas eve, we gave him this Iron Man watch from Tita Mare. He's so happy! He also received cash gifts and so we asked him what he wants to buy his money. At first he said he will save his money. But he changed his mind when he saw the Play Doh. 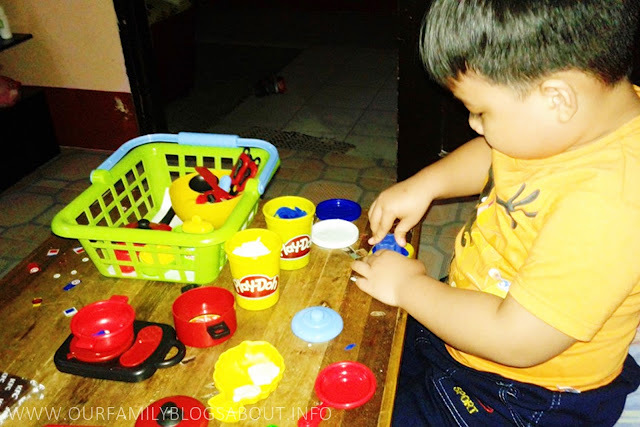 So here he was cooking with the Play Doh. 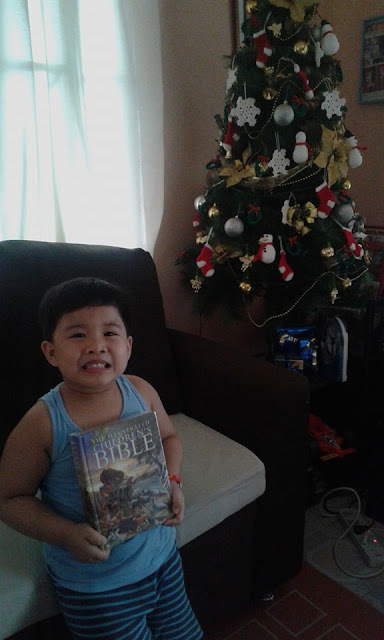 Lastly, we bought him this Children's Bible book because he loves to read. I also wanted him to buy another musical instrument from the musical instruments store. Unfortunately, there's no time. Maybe next Christmas or on his birthday na lang. Christmas is indeed for children. 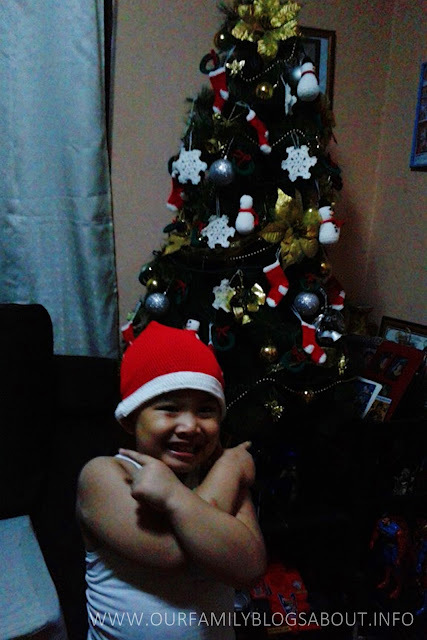 But aside from receiving gifts, I want him to understand what's the true meaning of Christmas. And that is the birth of our Savior, Jesus Christ. So have you enjoyed your holidays?